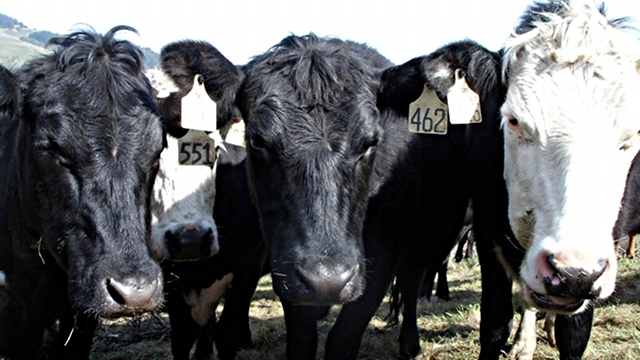 How can California cattle ranches pull carbon out of the atmosphere? Photo courtesy of Becca Ryals. What if we could pull carbon dioxide out of the atmosphere and store it underground? Well, plants do this every day—through photosynthesis. Plants take CO2 from the air and incorporate it into their tissues. When their leaves drop to the ground, or bits of their roots slough off, or they die and decompose, the carbon from the plants’ tissues goes into the soil. Researchers from UC Berkeley are working with cattle ranchers in Marin County to figure out how to increase the amount of carbon stored in the soil. I spoke to Berkeley grad student Becca Ryals to learn more about the Marin Carbon Project. Becca and other students in her advisor Whendee Silver’s lab, in the Department of Environmental Science, Policy and Management at Berkeley, had been studying the effects of climate change on the carbon in soil. They were taking soil samples from California’s rangelands to see how much carbon is stored—or sequestered—in the soil, and why carbon storage varies so much from place to place. The cattle ranchers, on whose land the researchers were working, wanted to know how their land management practices could increase carbon sequestration in their soils. The ranchers’ questions were the catalyst for the next step in Becca and her colleagues’ research. They did an experiment to see whether adding compost affects the amount of carbon stored in the soil. They set up a study in 2008 in two places—Nicasio Ranch, in Marin county, and the Sierra Foothill Research and Extension Center in the Sierra Valley. At each site, in some areas they added a half-inch thick layer of commercially available compost, made from yard waste and food scraps, to the soil. In other areas, they left the soil alone. Compost is added to the soil at a cattle ranch, part of the Marin Carbon Project. Photo courtesy of Becca Ryals. When they returned to the plots a few months later, they found that the plots with compost had a 50-70% increase in grass production. The compost had fertilized the grass and increased its growth. The ranchers were happy to see the increase in grass production—there was more forage for their cattle. The boxed areas were treated with a ½ inch layer of compost; the grass there grew thicker for 3 years after the compost was added. Photo courtesy of Becca Ryals. Becca and her colleagues expected that after a year, the effect of the compost would have worn off. They were wrong. When they went back the next year, the grass production was still up 50-70%. They went back three years after the compost was added, and they could still see its effects—grass production was still up by 50-70%. The compost acted as a slow-release fertilizer. They’re continuing to monitor the plots: for how long will the compost added in 2008 continue to benefit the grass, the soil, and the ranchers? Becca and her colleagues took multiple soil samples from the different plots, and found that in the compost-treated plots the amount of carbon in the soil had increased by about 20%. This is a huge increase in the world of soil carbon. Some of this carbon comes directly from the compost, and some is there because of the increase in grass production—grass dies and the carbon from its tissues enters the soil. Marcia DeLonge, a post-doc in Becca’s lab, is looking at whether the type of compost matters. She’s comparing the effects of yard waste/food scrap compost and compost made from cow manure—which is readily available at her field sites, three dairies in Marin County. Their work has become well known to local ranchers, and they received offers from so many ranchers to do the study on their land that they had difficulty choosing their field sites. 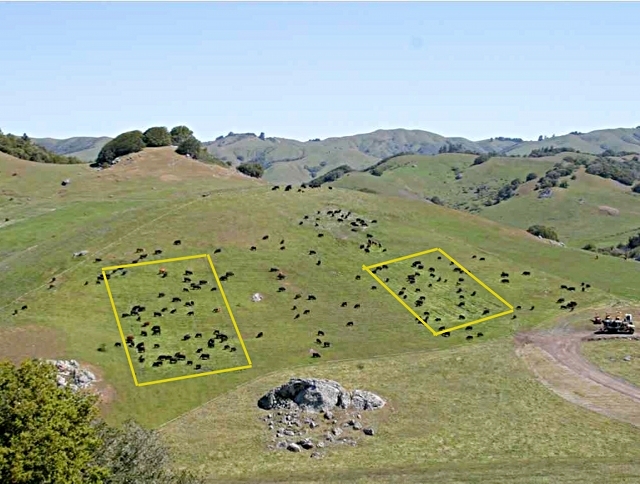 The Marin Carbon Project is starting to talk with ranchers and local agencies about a carbon market—using the researchers’ findings, they can monitor the amount of carbon in the soil, and ranchers can be rewarded for the carbon sequestered on their property. Becca, Whendee, and her lab-mates share their research findings with ranchers through presentations at public venues. The ranchers ask them questions, and the researchers figure out how they can answer them, by designing new studies and asking more questions.